In an ideal world I would eat Tapas style all the time. 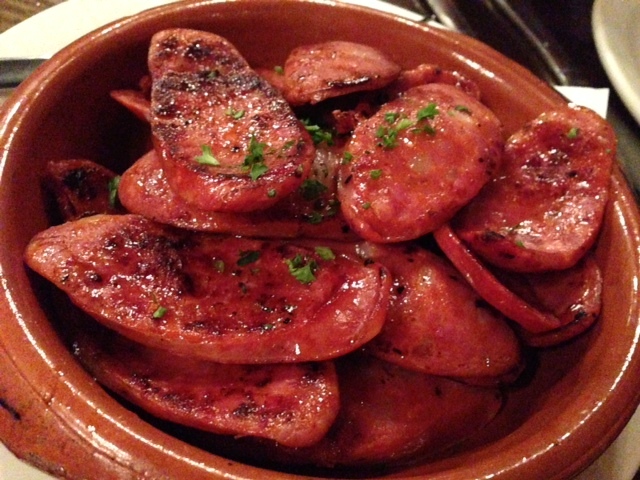 Maybe I have mentioned my love for little bite sized taster dishes, maybe I haven’t, but either way it seems that the most common phrase I say to MC when sitting down to any Tapas meal is “I Love Tapas – I love little dishes of different tastes”. If I was to be a cuisine I would be Tapas – little random dishes of eclectic taste sensations – some elements being fiery, some being sweet, some being bold and some more subtle ones thrown in for good measure. With that in mind, I was enthusiastic about our adventure to Encasa. As you know I like to peruse the menu beforehand, to build up the excitement, but upon looking at their website, I was put off. My first impression, based on their website, was that it was going to be a dodgy Spanish restaurant, in addition, Encasa is found at the South end of Pitt Street – the end that no-one ever goes to, so my enthusiasm started to wane a little. However, in the name of adventure, we put on our ‘non-judgmental-positive-attitude hats’ and set off. Upon entry Encasa, it seems like a small, homely restaurant, but as you go down the back the entire restaurant opens up to cater for big long tables. It is busy, noisy and bustling, which when combined with the slightly dated décor contributes to this happy, homely authentic feel. 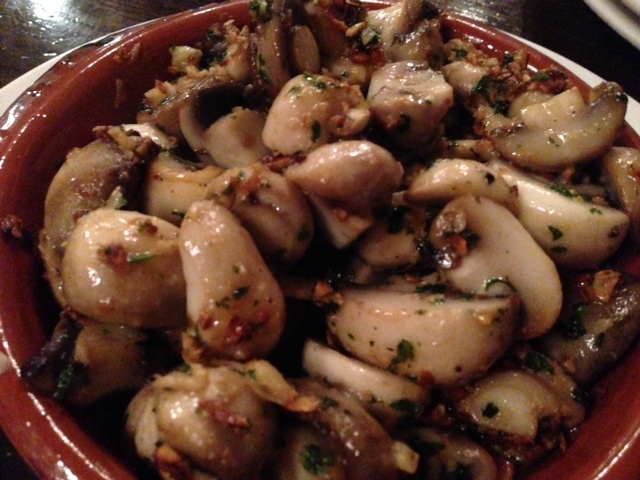 We ordered anchovies, chorizo, chicken skewers, garlic mushrooms and meatballs – the usual tapas fare. The waitress asked us if we were really hungry because that was a lot of food; I explained to her that we are eating experts, and we tend to eat loads. The portions are very generous, and we indeed had full bellies when we left. For anyone on a ‘low-carb’ eating plan, or for someone wanting to improve their overall body composition, eating Tapas is ideal. Since most of the dishes focus predominantly on meats and vegetables, it is easy to enjoy a great dinner out, without having to compromise any eating strategies. It was a short lesson. Albeit a lesson. It quickly became a conversation about where we want to go on holiday; the best food, nicest places- places NN hasn’t been (or has much of a clue where they are…). It was tough to decide, but one thing was for sure- the kind of food you get at genuine Spanish restaurants like Encasa ensures real, wholesome food. 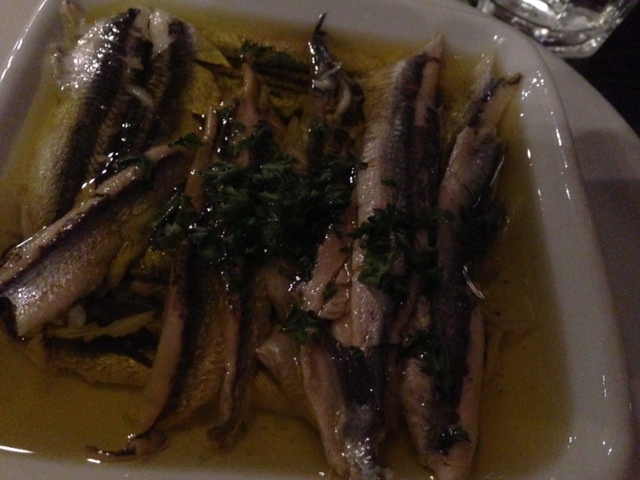 This wasn’t fancy, ‘hatted’ dining, this was real Spanish food. Having spent some time in Spain and mostly loving the place, the culture, the people and the food, we spoke a fair bit about how Encasa was so similar to what you’d get when eating in spain- like when we will travel there. Hopefully. 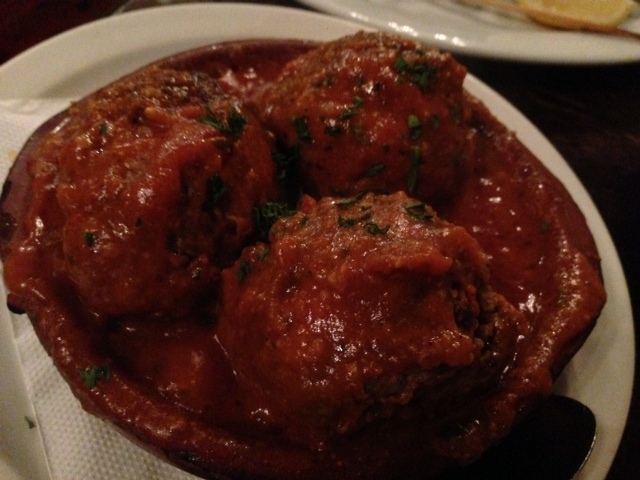 Don’t get me wrong, I love a good fancy-schmancy dinner from time to time, but to get meatballs that you can see being made in the kitchen once you order- that’s fresh food and that’s real food. I almost felt like I was Spanish and that was my mum’s cooking. It’s not too many places you can go and say that huh? Find some quality restaurants that don’t cost an arm and a leg, which actually taste like home cooking. Good, tasty, warming, satisfying home cooking. Let me know where they are, how it was and what you loved about it. Something that’s often missing from food and eating these days is an appreciation for having a home cooked meal. We’re often in a rush and taking quick options, so let’s help each other make a list of ‘home-cooked’ style restaurants- the world over! 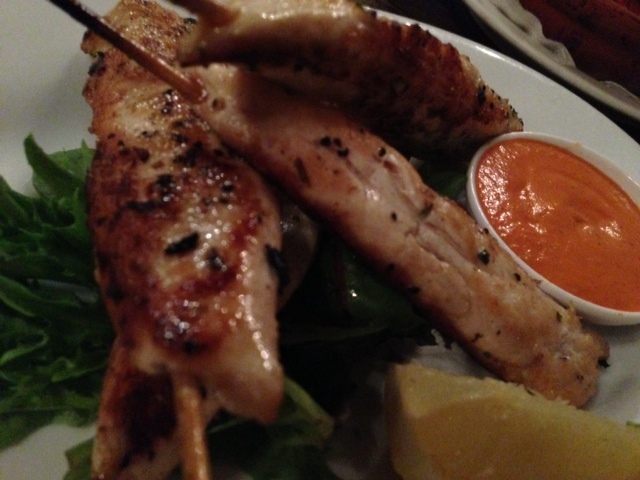 Low cost, home style cooking, then you cannot go past ‘Athenian’ for Greek food on Barrack st in the city. Authentic, cheap, delicious and always welcoming. I’ve been hoping to find a good Greek place, so a recommendation like this is perfect!